The neat part about this set is that this card could be made for a Father - or a Husband, Grandpa, Dad, Uncle, or Brother. It's such a versatile masculine stamp set! We start this card with a Smoky Slate Card base, then add a layer of Island Indigo Patterned Designer Series Paper from the Adventure Bound Designer Series Paper Stack. Next, we added a strip of the Gray Patterned Designer Series Paper die-cut with the Apothecary Accents Framelits, along with a Neutrals Candy Dot on the end of this piece. 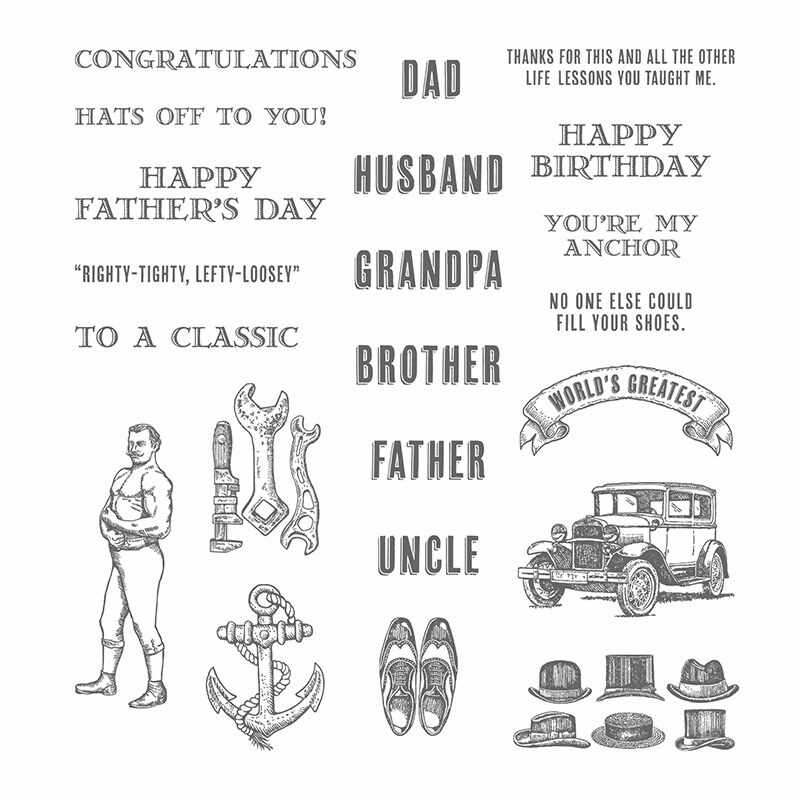 Then, we stamped "World's Greatest Father" and "No one else could fill your shoes" in Smoky Slate ink and punched these pieces out with the 2 1/2" Circle Punch and Large Oval Punch. We also sponged these pieces with our Stamping Sponge and Smoky Slate ink. Thanks so much to Jenny Peterson for her inspiration on this card! !